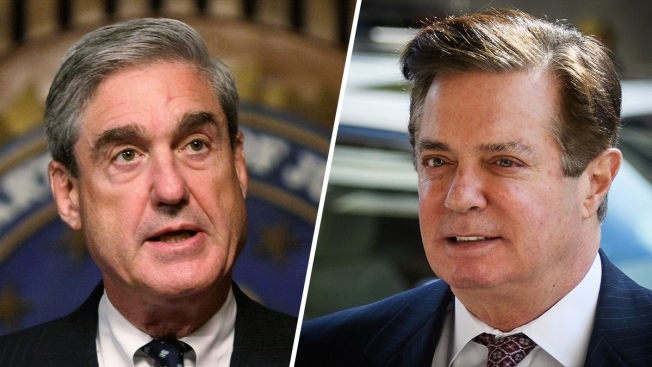 Lawyers for Paul Manafort said Wednesday that Robert Mueller's prosecutors have unfairly accused him of lying in his sessions with them after he pleaded guilty. The Mueller team has accused him of failing to abide by his agreement to cooperate with investigators during 12 debriefings and two appearances before a grand jury, NBC News reported. They have said he lied about a $125,000 payment he received in 2017, his conversations with a former associate who's been accused of being a Russian intelligence operative, contacts with administration officials, and an unspecified ongoing investigation.